If you look at the previous shot, you can see two guys standing to the left side. 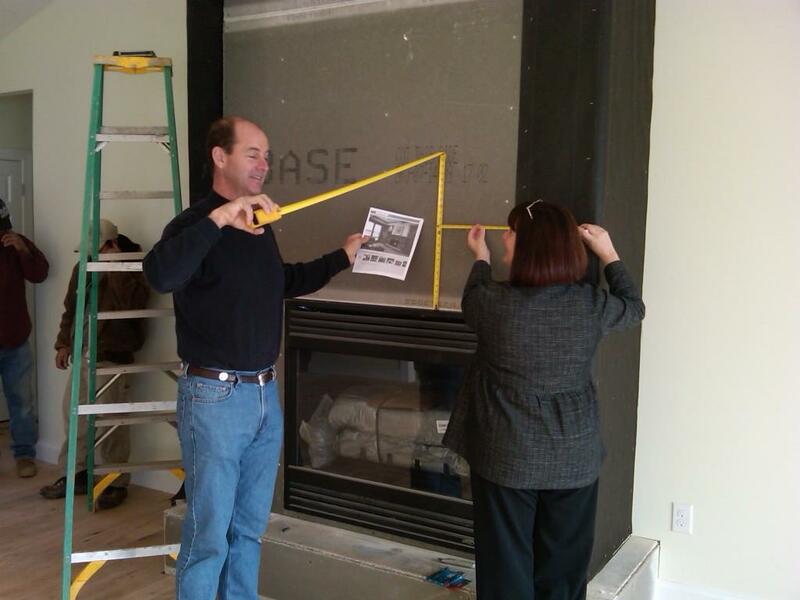 They were working on the fireplace stone prep before they were "rudely interrupted by Debi and Bob" ;-). Now they're back to work. 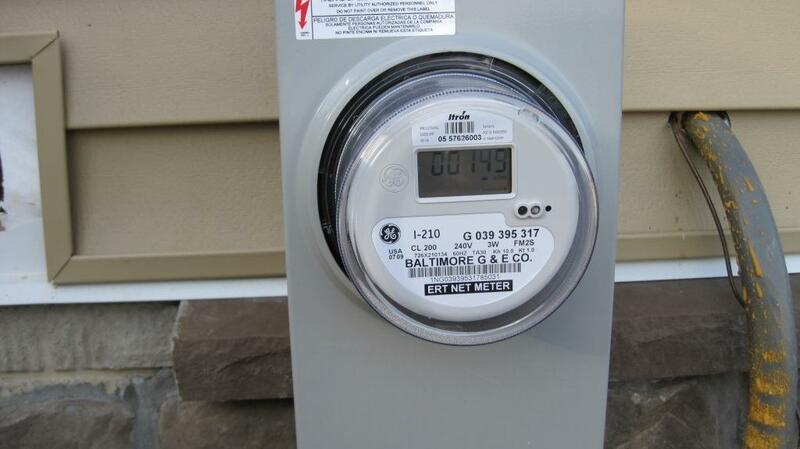 Bob called BGE this morning to inquire about when the net meter was going to FINALLY be installed (they had said last week it would be "within 10 days"). 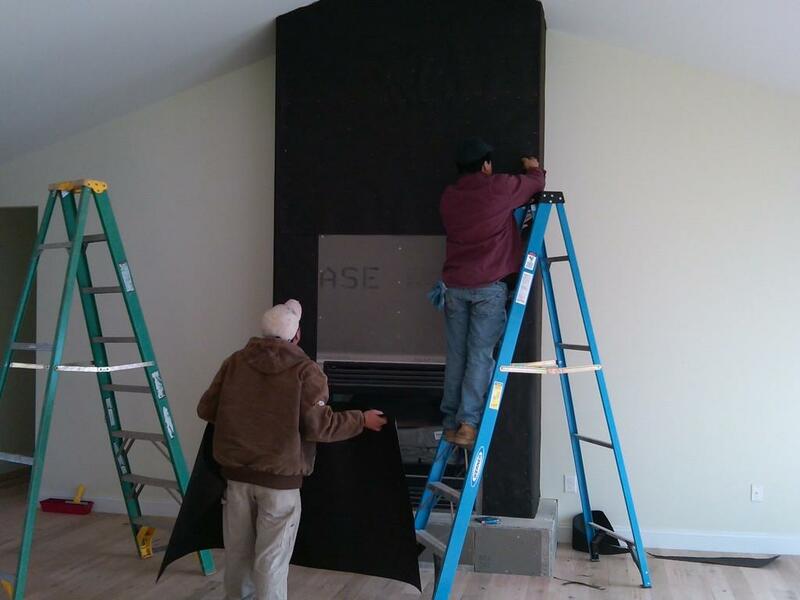 Much to our suprise, and true to BGE's "Customer Service Last" policy, they had installed it alreay (in the middle of the night for all we know) ... they just didn't tell anyone. 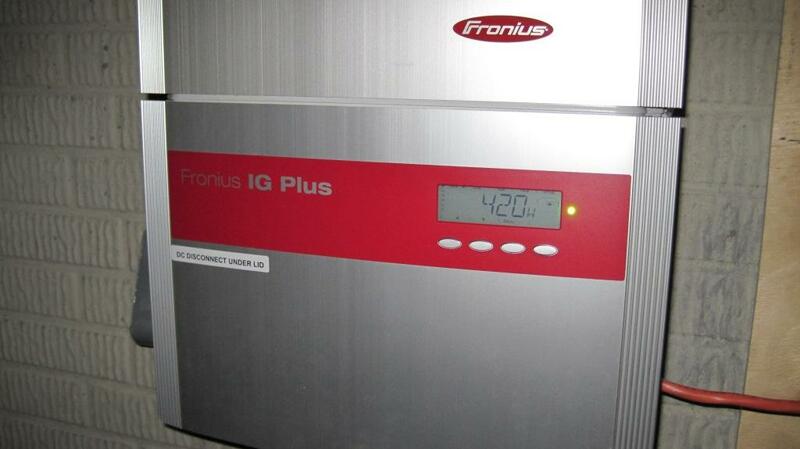 With the net meter installed, we "fired up" the solar inverter. Tim and Debi Electric Company (T&D Electric for short) is now in business !!! 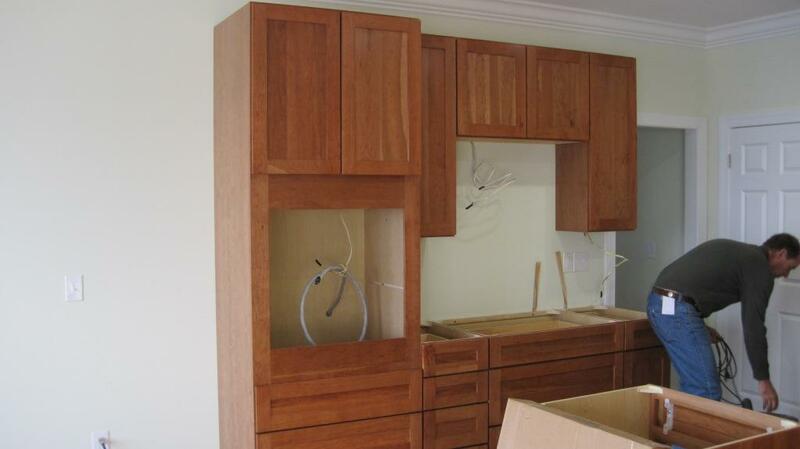 The kitchen cabinets have arrived. 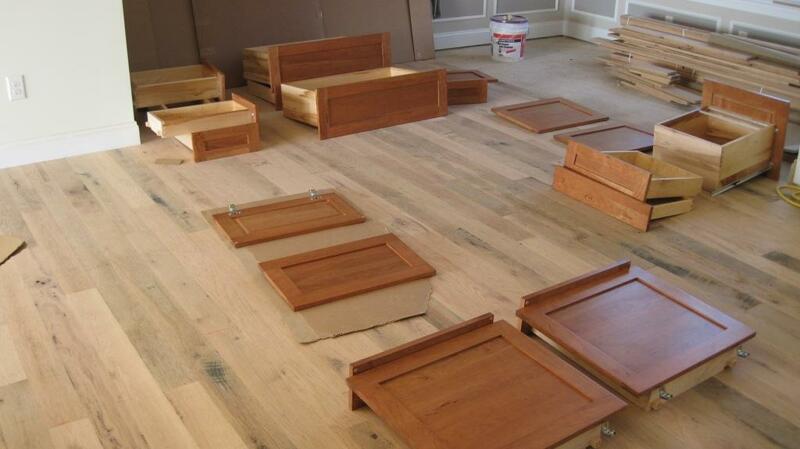 Here's a shot of most of the drawers layed out in the Dining Room. 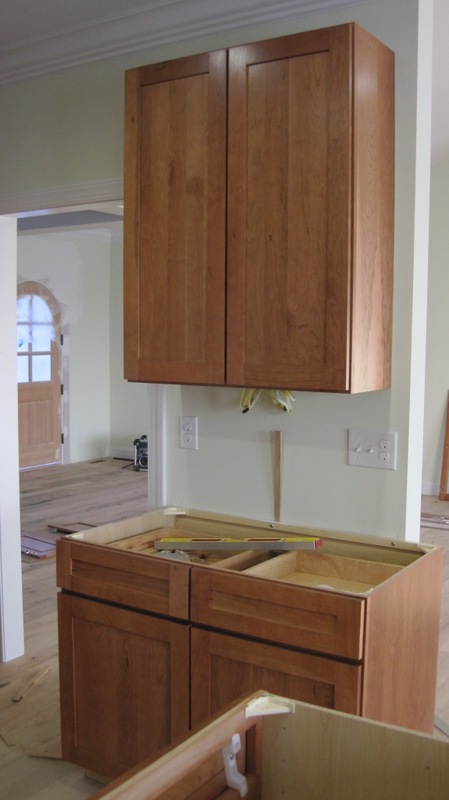 The cooktop, oven, and microwave area. The food prep and storage area. 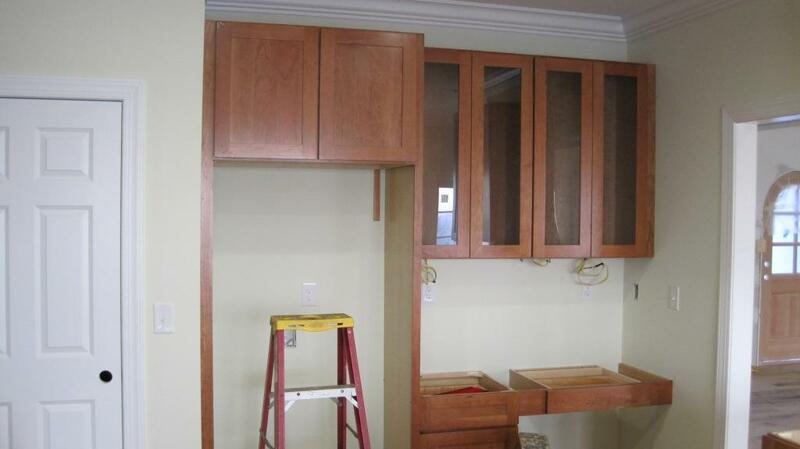 The refrigerator and desk area.